Ask any marketing expert what the most effective tool for building a brand is and their answer will be: an email newsletter. Email newsletters easily engage customers with company updates, exciting offers, new information and other insider news that consumers will find interesting. If you can being creating great newsletters, you’ll not only be able to get fresh subscribers but also give reason to disengaged subscribers to get active again. In other words, a successful newsletter has the potential to bring back some subscribers you lost earlier. Newsletters serve as a way to tell readers of the latest happenings for your business. 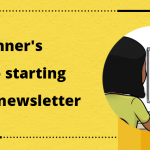 When drafting a newsletter, start with a specific topic that will be both eye-catching and informative. Your subject line is the first thing a reader will see and will determine whether they go on to open the email or not. Make sure it’s riveting enough. There’s no point sharing content that’s not high-quality – you’ll only lose subscribers. No one wants to subscribe to a newsletter that will constantly clog their inbox without delivering what they think is valuable. When encouraging customers to join your newsletter, be sure to set their expectations immediately. Subscribers like to know how often you’ll be sending emails, what offers they’ll receive, and what kind of content you will be sharing. There are many ways of finding out what’s working and what’s not. Dig into which links got more hits. Experiment with layouts. Test with different kinds of images. Once in a while, include a survey with your blogs. In addition to discovering what your subscribers’ likes and dislikes are by way of a survey, you need to monitor your newsletter metrics. These numbers will allow you to see how well the newsletter is performing, as well as where you need to improve. One of the most important metrics for your newsletter is identifying the rate of click-throughs. By tracking the amount of clicks your newsletters receive, you’ll be able to identify what content is performing better. These numbers should help you find your least and most popular content based on the number of clicks you receive. In addition to measuring click-throughs, you should look at your rate of conversion. Who all clicked through a call to action in your last post? Have they signed up for your latest event? How many of your subscribers are making a purchase after reading the newsletter and visiting your website? By answering these questions, you’ll be able to identify what converts interested subscribers to buyers. Be sure to use an newsletter tool that allows you to easily track this metric to help improve your future conversions. If you’re not gaining more subscribers on a consistent basis, you aren’t experiencing growth. With more subscribers, you’ll hopefully see more satisfactory metrics across the board. To find out if you are gaining new subscribers, it’s important to track your list growth. When aiming to measure your list growth, it’s helpful to review your forward rate. This number allows you to see how many people are forwarding your newsletter. With a high forward rate, your newsletter views will grow exponentially, increasing your chance of growing your list of subscribers. Your newsletter’s delivery rate will tell you how many of your subscribers are receiving your newsletter. Typically, this metric is calculated by subtracting the number of bounced emails from the total number of newsletters sent, divided by total emails sent. Use that opportunity to learn best practices to reach recipient’s inbox and make sure to put those principles into practice. In order to improve your delivery rate, it’s important to use an email verification tool to clean your mailing list. This will help you perform regular maintenance to remove email addresses that are no longer working. With an email checker tool, you’ll be able to verify the authenticity of an email address. Additionally, an email checker tool will check if an email address is role-based, accept-all, disposable or invalid. These types of email addresses are all categories that are unsafe for you to send your marketing emails to. Don’t forget that when too many of your emails hard-bounce, you are at a risk of being labelled a spammer. Sending emails to a clean list, on the other hand, helps you maintain your sender reputation, get more accurate metrics (because there are no bounces, so all your responses are from emails delivered) and achieve a better ROI. Subscribers tend to appreciate a newsletter that has mostly educational content. Consider balancing your content in your newsletters by featuring articles that your target audience will find interesting. Subscribers are also interested in informative content that details how to use your services and products in new and interesting ways. Email newsletters are generally short and to the point. In order to immediately capture your audience’s attention, you’ll want to make the most of your pre-header, the section above the logo and the header. Your newsletter should pull readers in as soon as they open the email. Some pre-headers typically asks the reader: “Having trouble viewing this email? Click Here.” Instead of these generic and uninspiring words, try something innovative and eye-catching. Many people like to include a one line description of the article as the pre-header, encouraging subscribers to make the decision to keep reading. Remember, this could be your only chance to engage with the subscriber. Far too many newsletters are created solely for use on a laptop or desktop. However, most people are on-the-go and use their phones, tablets or smart watches to check their email. Subscribers that open an ill-formatted email on their mobile devices will likely not have the patience to try to figure out what it says. Hence it’s important that your newsletter is formatted to suit multiple devices. When an email newsletter is properly executed, it is an ideal method for marketing your business. Be sure to keep this guide in mind as you begin your new email marketing endeavor.